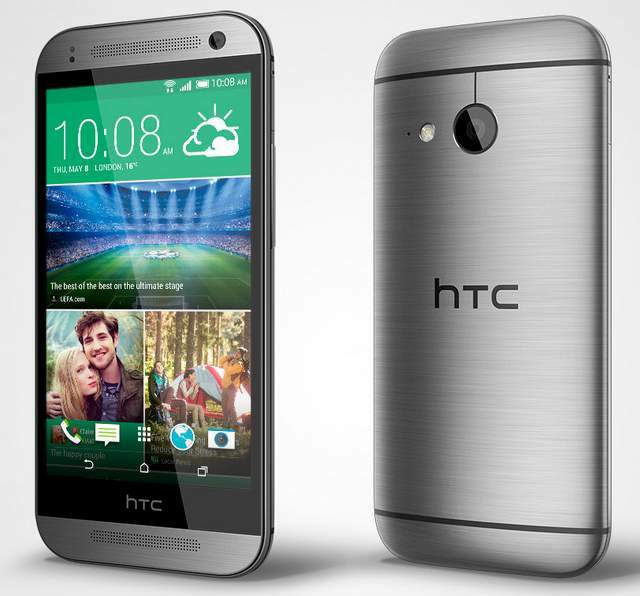 HTC One Mini-2 (2014 edition) has been officially announced. The price of the One Mini 2 is not announced yet but the specifications are quite vigorous. Recently HTC ONE M8 Red and Blue also has been arrived in UK and Taiwan. The One Mini2 has 4,5 inch capacitive touch screen display with 1280 x 720 pixels resolution. It gains the strength from 1.2GHz quad core CPU based on Qualcomm Snapdragon 400 chipset. It runs in latest Android 4.4 Kitkat operating system with company’s customized Sense 6 on the TOP. It would compete with LG VOLT L90 / LS740, which recently made it way to Virgin and Boost Mobile ( 4G Sprint network). It packs with 13-megapixel primary shooter with BSI sensor, f/2.2 and 5-megapixel secondary cam with HTC ZOE & Zoe Highlight. In measurements it is 10.6mm thick and weighs 137 grams. The One Mini 2 also features BoomSond and houses a 2100 mAh battery. It offers 4G LTE, 3G, WiFi, Bluetooth, GPS, NFC and micro USB with OTG connectivity options. The Mini2 is capable of recording Full HD 108p videos. The One-Mini 2 will be available in Gray, Silver and Amber Gold color. It will be first headed to EMEA of sales starting next month.